A beautiful hand tied of fresh high-quality "Avalanches" 12 dusty pink roses. 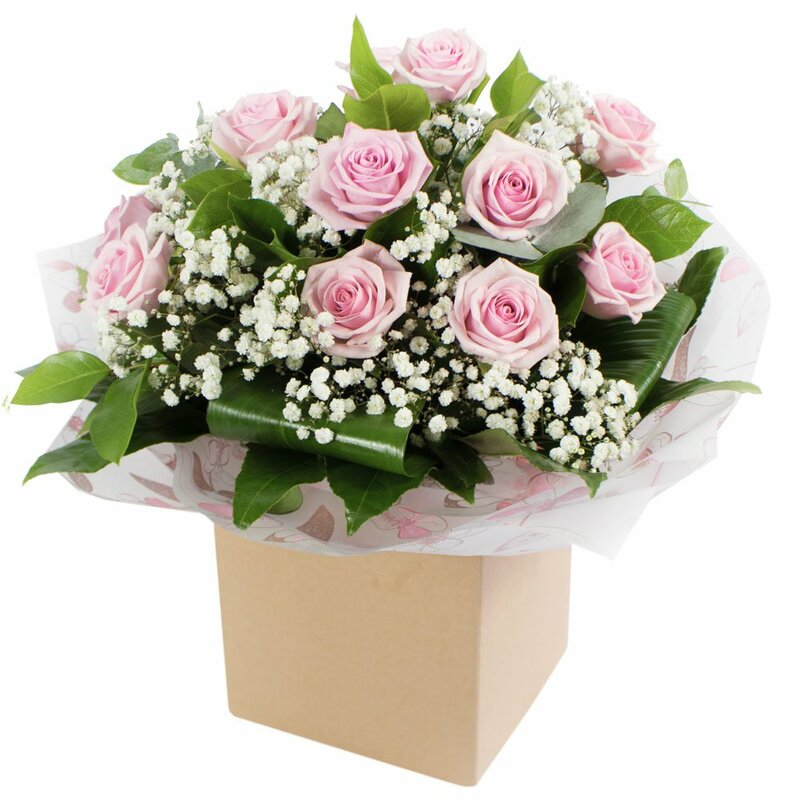 The pink dreamy bouquet is the wonderful way to express your feelings. These roses describe the fairy dream of beauty and elegance. The roses have a premium quality of pink avalanches roses with long-stemmed of 60 cm. The bouquet contents 12 roses hand-tied with bear grass, gypsophila, salal, and foliage presented for a beautiful gift. This flower arrangement is the perfect choice for Valentine’s Day.